The classic style, something most modern or a freaky solution. We do justice to your wish. 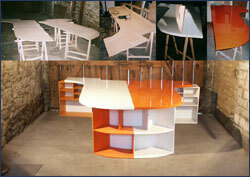 Never mind if you need a prototype for your display, a modern reception area or a inimitable counter for your shop. We take everything as a challenge!